FORT ST. JOHN, B.C. – International Trade Minister for Canada, Chrystia Freeland,says that it might not be possible for a deal to be struck between Canada and the U.S. when it comes to softwood-lumber. According to an article in the Globe and Mail, Freeland knows that a deal might not be reached by the October deadline. 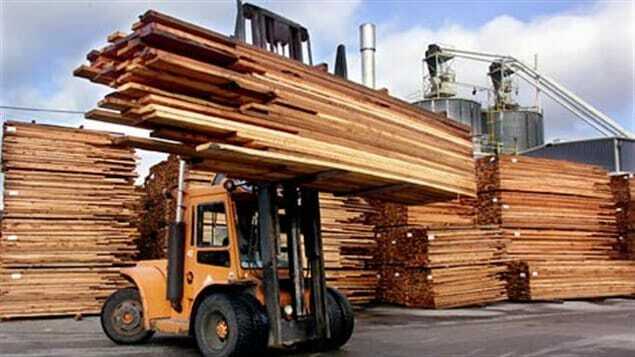 Washington would then be allowed to put duties on timber from Canada. The reason making it hard to reach a deal? The protectionist climate in Washington. Freeland says that it is worse than any time since the Second World War. A new assessment by an economic analysis group says the Canada-US softwood lumber deal threatens up to 22,000 jobs in Canada. It adds the deal has benefitted American producers, while harming Canadian producers and American consumers. The analysis was prepared for the Montreal Economic Institute (MEI), an independent, non-partisan, not-for-profit research and educational organization. “The case of softwood lumber is a perfect illustration of how protectionism generally provides benefits for a small number of people while harming a majority,” points out Alexandre Moreau, Public Policy Analyst at the MEI and author of the publication which was prepared as negotiations continue prior to an October 12 deadline. LACLEDE — In the small, unincorporated community of Laclede, with the scent of pine and cedar filling the air and looming stacks of logs watered by large sprinklers, it would be impossible not to notice the sawmill that is the heart of the area. During the mill’s 40th anniversary celebration Friday, Idaho Forest Group Chairman Marc Brinkmeyer said the mill has had its share of ups and downs over the years, but the future looks “incredibly bright.” “It’s the mill, the machinery and the technology and so forth, but what makes this place special is the people,” Brinkmeyer said. The people Brinkmeyer was referring to — the IFG family — came through one of the more difficult times in the sawmill’s history in 2009. The logging industry has few certainties. For Gregg Wilkins, a fifth-generation sawmill operator who makes a living turning logs into lumber, one is there will always be wood, but never enough time. Since a young age he has worked in the family business, Wilkins Lumber, a small mill just east of Salida. He has seen changes in the industry over the years and knows the realities of a physically demanding job – “one where nobody is getting rich,” said Wilkins. “This job, these trees, are what I am passionate about, and it’s our livelihood,” he said. Wilkins sat on a ponderosa pine tree, where he lit a cigarette and surveyed a yard with logs piled high on one side and neatly stacked lumber on the other. BRUCE, Miss. – The Weyerhaeuser Mill and the timber supply in Bruce keeps the area booming, and is a great resource for the city and county. The success of the timber industry relies on a certain market, and when that market booms, the mill and area does too. When the housing market is up, timber sales grow. “People are constantly building houses, which is really where our lumber goes towards. The market of houses and buildings,” says Weyerhaeuser Electrical Manager, Chris Williams. However, back in 2008, when the housing market crashed, things at Weyerhaeuser slowed down. “It did affect the county somewhat, obviously, Weyerhaeuser was not in the market to buy as much pine logs as they had been, but they never closed the mill. The Catherine Lalonde Memorial Award is presented to a graduate student who demonstrates excellence in their studies of structural wood or wood design. The Canadian Wood Council (CWC) invites submission from graduate students in engineering, architecture, wood science and forestry. Research projects must demonstrate direct benefit for structural products manufactured by the Canadian forest products industry. 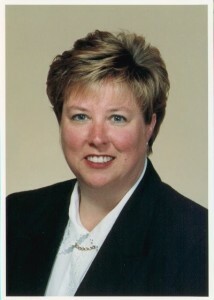 Catherine Lalonde was a dedicated employee of the CWC for over 10 years. Her most recent position as president of CWC ended abruptly when Catherine lost her battle with cancer in August 2003. In recognition to her contribution, the Catherine Lalonde Memorial Scholarship Fund was established to encourage the search for innovative solutions to the use of wood in construction. 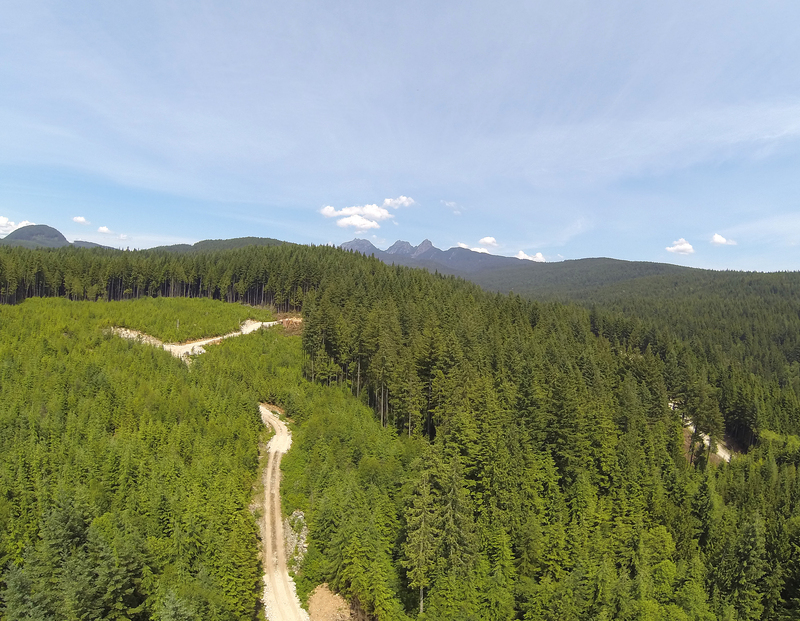 …Next week, the forest will host DEMO International®, a world class, one-of-a-kind event for the forest industry and the flagship event of the Canadian Woodlands Forum . Since this major event happens only every four years (and in a different location each time), it’s a big deal. It features the latest technologies in equipment, products and services covering all aspects of woodlands operations . An estimated 10,000 visitors will be in attendance, including international delegates from more than 10 countries, putting the forest front and centre on the world stage. VICTORIA – Two community forest licences held by the Tumbler Ridge Community Forest Corp. and Little Prairie Community Forest Inc. will be audited, starting Sept. 26, 2016. The auditors will examine all operational planning, harvesting, roads, silviculture and wildfire protection practices for compliance with the Forest and Range Practices Act and the Wildfire Act. Tumbler Ridge operates next to the town of Tumbler Ridge and Little Prairie operates near the communities of Chetwynd and Moberly Lake, each with an allowable annual cut of 20,000 cubic metres of timber. However, due to the mountain pine beetle infestation, Tumbler Ridge harvested 160,000 cubic metres and Little Prairie harvested approximately 400,000 cubic metres of timber over the last two years. New Brunswick may see softwood species such as balsam fir and black spruce disappear from the province’s forests over the next 80 years or so, says a forestry professor. 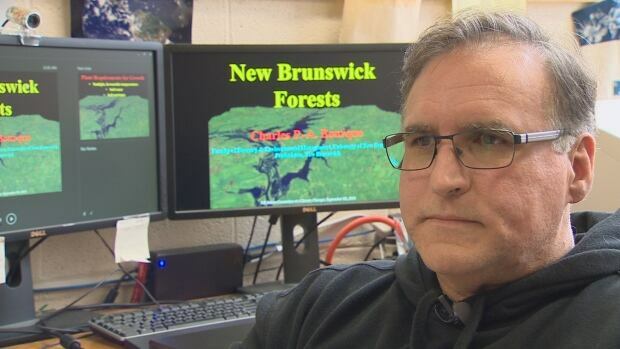 University of New Brunswick forestry professor Charles Bourque has written and tested software to create possible future scenarios for many of New Brunswick’s tree species. Under one scenario, greenhouse gas emissions are under control by 2040 and the median temperature has increased by 1.6 degrees. The second scenario sees no abatement in emissions and the temperature increase by as much as four degrees. “So that’s quite significant jump, so it’s dependant on what people do,” said Bourque. After attending the “Forestry Information” meeting put on by Forestry NS recently at the Best Western Glengarry, one can be forgiven for feeling this was simply a snow job to sell the idea of spraying with glyphosate. It is obvious this was not meant to be a discussion about the spraying but simply a presentation of a carefully selected point of view. The three presenters were all pro-spray, each chosen to address one aspect of the concern which DNR must be hearing and reading from the public. Not one specialist/researcher who opposes the use of these chemicals was part of the presentation. Will more thinning, controlled burns save Washington state forests? WASHINGTON – Democratic Sen. Maria Cantwell says that nearly 2 million acres of forest land in her home state of Washington is at high risk of dying from new wildfires. As a solution, she wants Congress to allow more thinning and controlled burns as a way to protect the forests. As the top Democrat on the Senate Energy and Natural Resources Committee, Cantwell is a key player in shaping the federal government’s response to the growing threat of wildfires. She said that a total of 67 million acres in western states are in danger, or roughly 10 percent of all forest land. …Cantwell said that thinning forests and allowed prescribed fires, also known as controlled burns, could help save the forests while also reducing the amount of carbon released into the atmosphere. A Sonoma County judge has halted logging operations tied to a disputed timber harvest plan in the Gualala River watershed until a court challenge against the project can be resolved. Superior Court Judge Rene Chouteau granted a preliminary injunction Wednesday, affirming an earlier tentative ruling in which he said environmentalists challenging the plan had a strong enough case to justify a court-ordered freeze on the work. Continued felling of trees in the project area, near the coast along the Sonoma-Mendocino county border, would alter the environment in a manner that could not be rectified were plaintiffs to prevail in the lawsuit and approval of the logging plan withdrawn, Chouteau said. Bath Iron Works’ loss of a crucial contract last week casts a pall over more than 1,000 shipbuilding jobs in Maine. But another traditional industry argues it still has a bright future in the state, no matter the headlines. 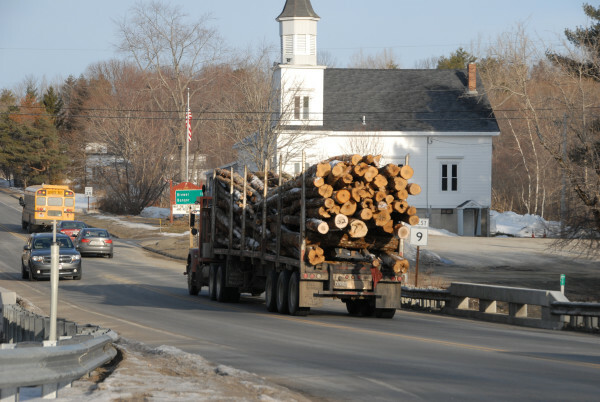 Logging has big potential ahead, “despite the steady drumbeat of doom and gloom in media reports suggesting Maine should move on from its forest-based heritage,” the industry’s top representative, Dana Doran, wrote in a recent report. 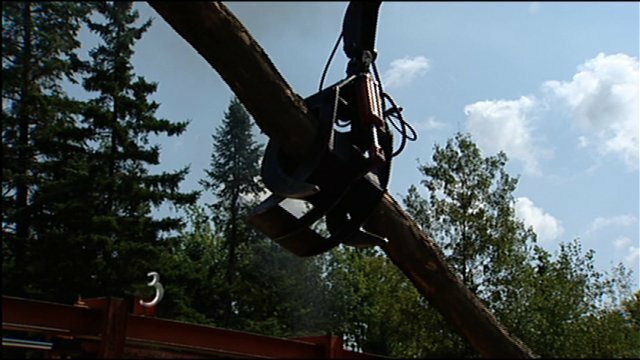 Even with the fall of Maine paper mills, the state relies more on the logging industry for jobs than any other place in the country. The original Bramley apple tree and the inspiration for the mulberry bush nursery rhyme are among the 29 trees in England, Scotland, Wales and Northern Ireland that have been shortlisted by the Woodland Trust for its annual tree of the year competition. Experts whittled down nearly 200 public nominations based on the tree’s story, how they would use the £1,000 care grant and visual appeal of the tree. Members of the public can vote for their favourite tree by country before 10 October with the winners going forward to the European tree of the year competition in early 2017. BIG SUR, Calif. — A wildfire burning for nearly two months on California’s scenic Big Sur coast has surpassed $200 million in firefighting costs, becoming the costliest to fight in U.S. history, according to date released Monday. The fire has cost $206.7 million to fight so far, the National Interagency Fire Center said in a report. And with the blaze at only 67 percent containment, there could be weeks left before the firefight is done. That puts it well past the previous high of $165 million established by a blaze that burned in California and Oregon in 2002.